Get professional - unless you or a family member is actually a very talented photographer who knows what they're doing, it's best to stick with a professional. Do your research: solicit your friends for recommendations (Facebook is great for this) and find someone you get along with and that fits in your budget. Check out their portfolios ahead of time to make sure it meshes with what you want to see. Have a budget - pick a budget and keep that in mind when you're shopping for a photographer. Most photographers offer a variety of packages for every price range. Bonus tip: a lot of photographers offer 'mini-sessions' at a significantly reduced rate. You won't get a full 1-2 hour shoot and tons of wardrobe changes, but you will get some budget-friendly, professionally done pictures that will last a lifetime. Pick the right time - our photographers recommend getting your pics done between 30 and 34 weeks. This allows for your bump to be big enough to capture on film but also not so huge that you're uncomfortable and can't easily change positions or move around (read: you're not quite ready to send your babe an eviction notice). Use props - those tiny shoes you're saving for the baby? Bring them! The itsy-bity little hat from your favorite sports team? Include it! There are TONS of ideas out there and the sky is the limit. We've used baseball gloves, bow ties, hats, baskets. Bonus tip: your photographer may have some props or ideas - make sure you ask ahead of time. Include siblings - both of the human and furry persuasions!I'm not saying get crazy and invite the entire fam-jam, but you'll want other children and possibly furry friends to be a part of capturing this special time. Bonus tip: bring treats for bribery positive reinforcement... for the dogs AND the kids. Pinterest is your friend - good photographers will have tons of their own ideas BUT they'll also be open to capturing a couple shots that you'd really like to see. Hit up Pinterest for ideas for poses, locations, props etc. Find a location(s) you love - again, your photographer will probably have some recommendations on this one BUT ultimately, you decide what you'd like to see. A lot of people want the warmth of pictures done in home but also some fun outdoor shots. Our photographer suggested an apple orchard for our last maternity pics and the result was amazing (and something I would have NEVER thought of). HAVE FUN! - I'm not supermodel (obviously) and I'm not exactly super comfortable in front of a camera (read: I'm super awkward) BUT you can have fun during a photoshoot. Plus, I promise, if you're having a good time, it will show in the pictures! During both of our maternity shoots we had a few great laughs and looking back, those are some of the best shots. 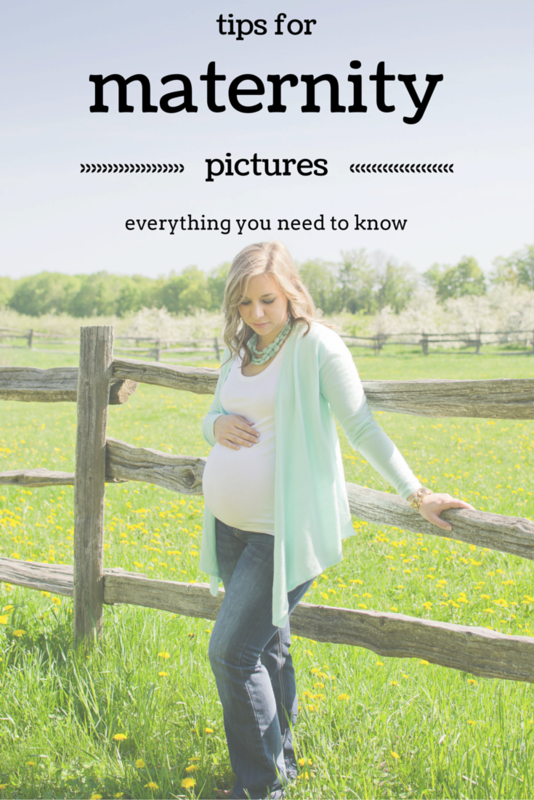 What to wear for maternity pictures?